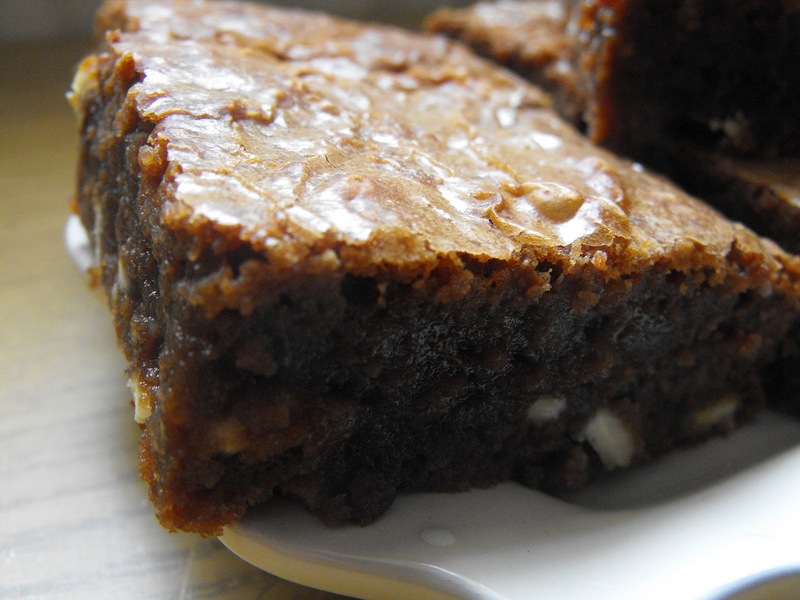 My girls, if you’re reading this, one day you will no doubt have need of a really, really good brownie recipe – fudgy, squidgy, chocolatey and with that ‘proper’ crackly top that good brownies have. Listen to your mother! 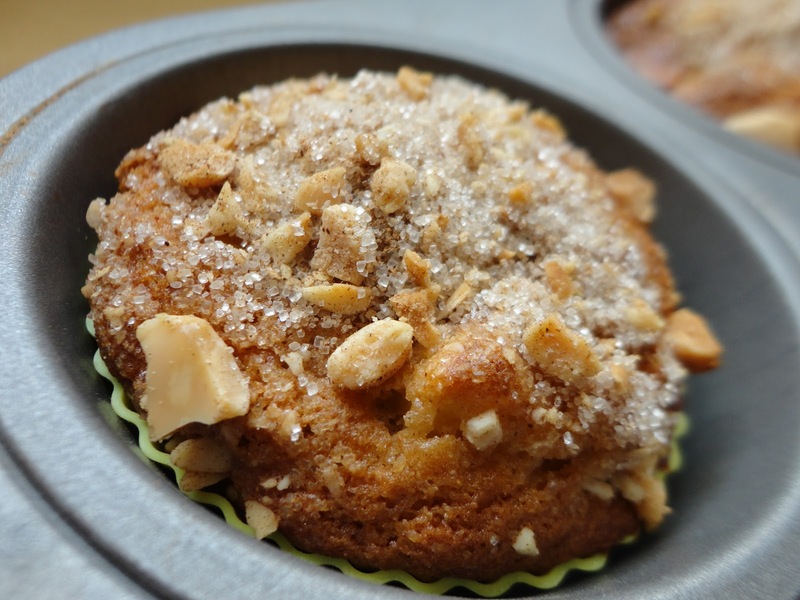 I have found just that recipe for you both…..These are just The Best! 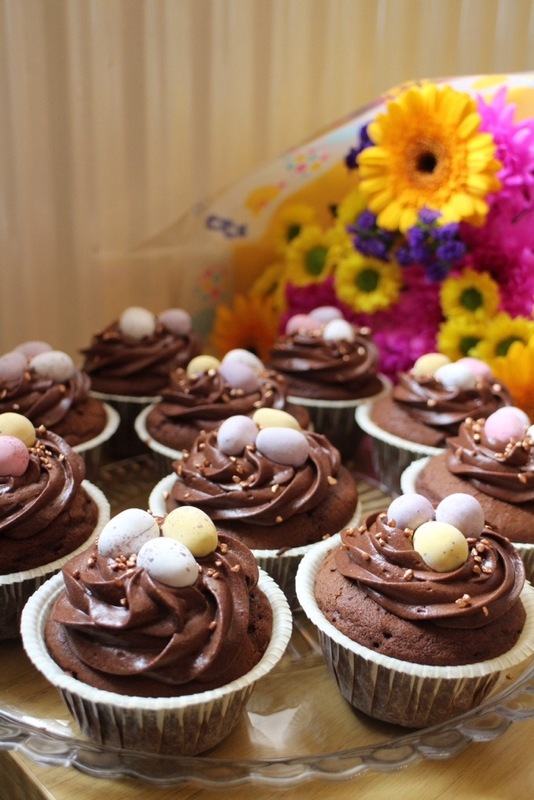 I’ve made brownies which are too ‘cake-like’, too under-cooked, too over-cooked, but these beauties really are perfect! 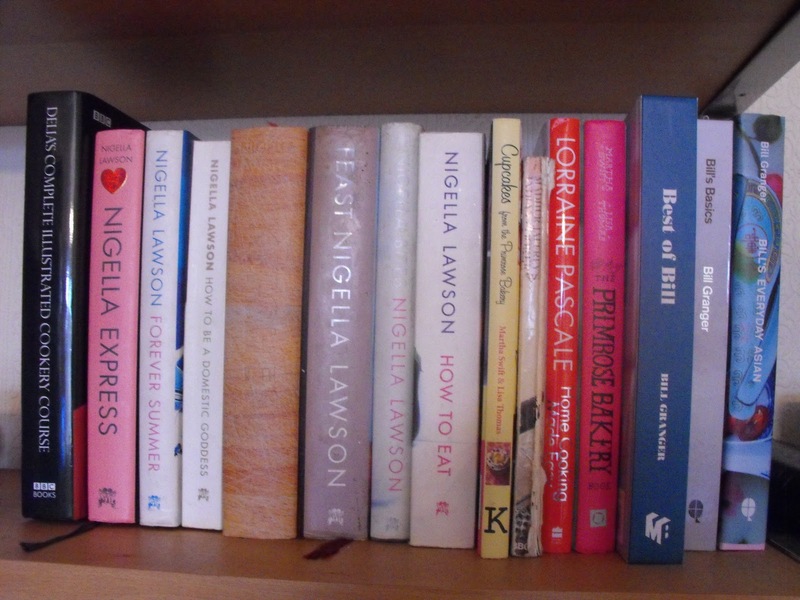 And how apt that they come from my most loved cookbook of all time, Nigella Lawson’s awesome masterpiece ‘Feast’. 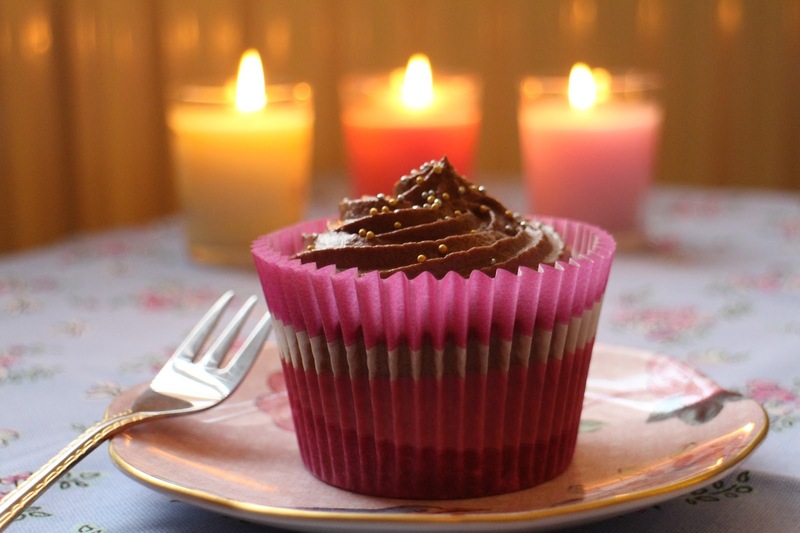 Adapted from Nigella Lawson’s ‘Feast’. 2. Line the sides and base of a small rectangular brownie pan (mine is 24cm x 27cm) with foil or baking parchment. 4. In a bowl beat the eggs with the caster sugar and vanilla. 5. 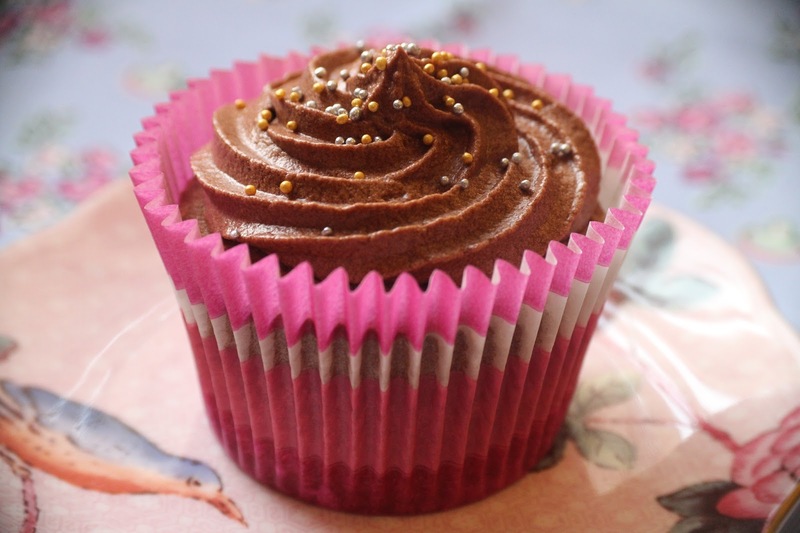 Allow the chocolate mixture to cool a little, then add the egg and sugar mixture and beat well. Fold in the flour and salt, then stir in the white chocolate chips/chunks. 6. Pour the mix into the prepared tin. 8. When cool dust with icing sugar. I’ve been a little quiet here on my blog lately and I feel that I should explain why, so that if I do post a little less regularly than is usual, you’ll at least know why. I’ve been on a bit of a health kick recently, trying to lose some extra weight which has crept on steadily over the past few years. 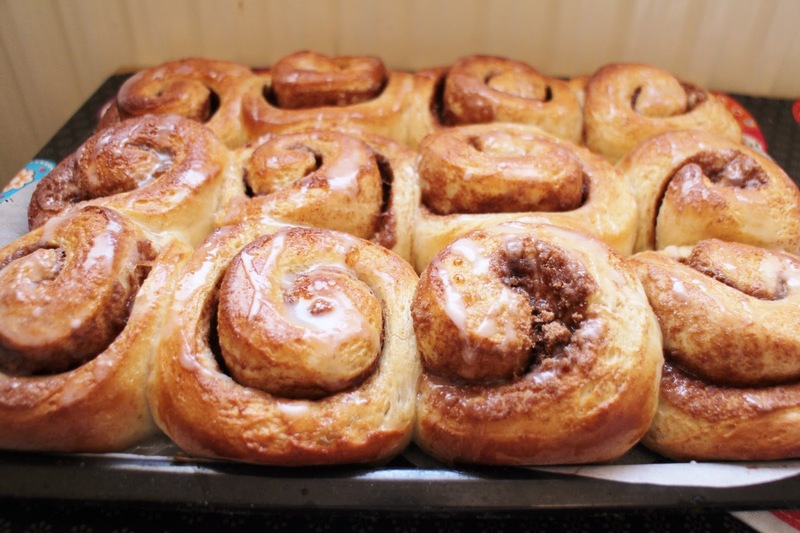 Unfortunately when you like your food and baking as much as I do, this can be one of the side effects. I’m not very good at moderation. I’ve decided that I’ll be very strict with myself until most of the weight has gone and then try Weight Watchers or similar to help keep the weight off. That being said, I can now tell you that I had quite a tough time, because I decided to cut out carbs, sugar, diet coke (My great vice!) sweeteners, caffeine and most dairy in the space of a week! Looking back now, that may not have been the wisest thing to do…I had headaches, nausea, aching bones for a whole week. A really bad case of Induction flu. I really felt awful. But now it’s over, I feel great, like a fog has lifted, that’s the only way I can think of to describe it. 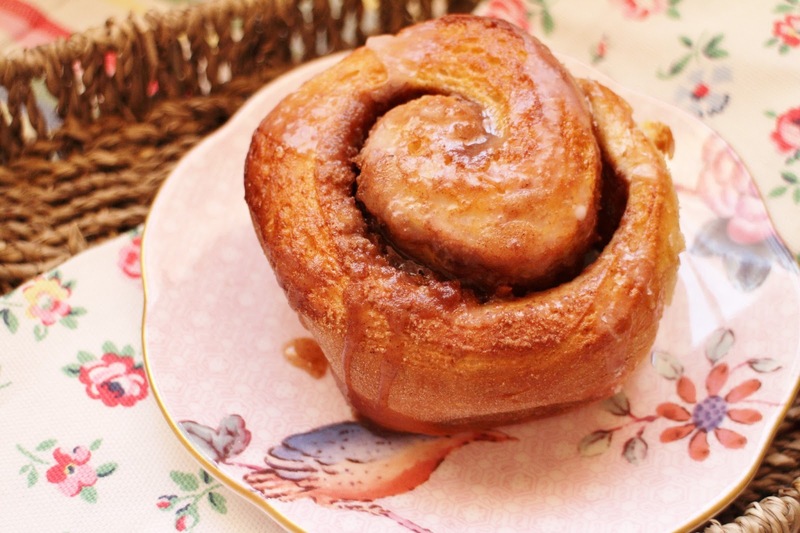 Being as I’m restricting myself so much, I feel that the little food I do eat, must completely satisfy me and be of the highest quality my pocket can manage. And be lovely. Really lovely. That’s why I treated myself today to these lovely Waitrose King scallops, which I generously shared with my husband. 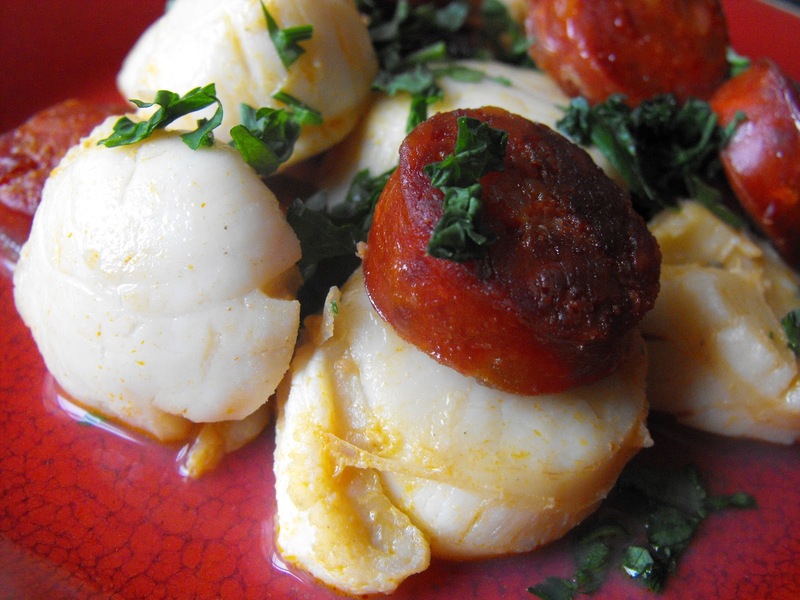 I’ve made Nigella’s scallops with chorizo a few times and to me it feels like you’ve been spoilt when you’ve had this. 2. Heat a pan on the hob and fry the chorizo until crisped on either side, you won’t need to use oil as the chorizo releases lots of lovely orange oil. 3. Remove chorizo from pan and fry scallops in the chorizo oil for about a minute a side. 4. Return the chorizo to the pan with the scallops, add the lemon juice and let it bubble for a few seconds before adding the parsley. D’you know, the funny thing about kicking off my ‘Off the Shelf cook book challenge’ with this book, is the fact that it’s one of my latest purchases! It’s hardly had time to settle in, before it’s being whipped off the shelf! 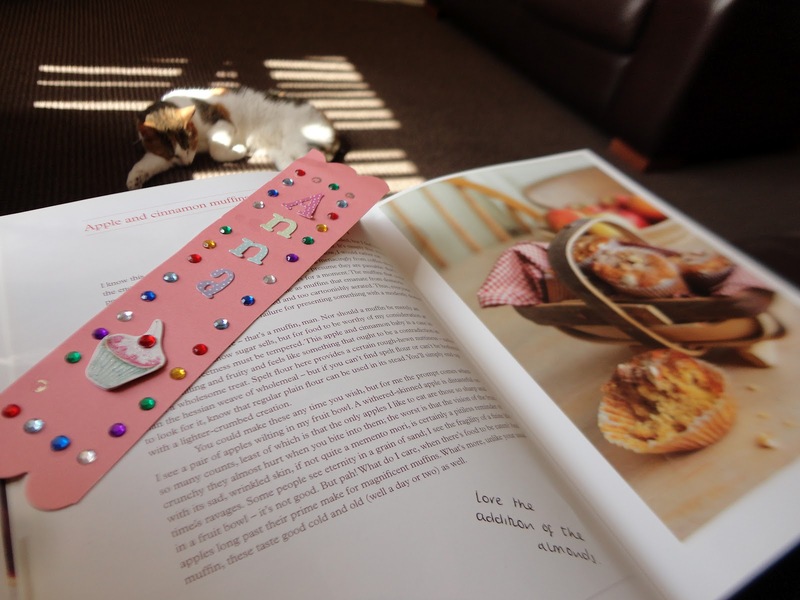 It’s a cute little book, which has achievable, yet tasty, Japanese recipes. 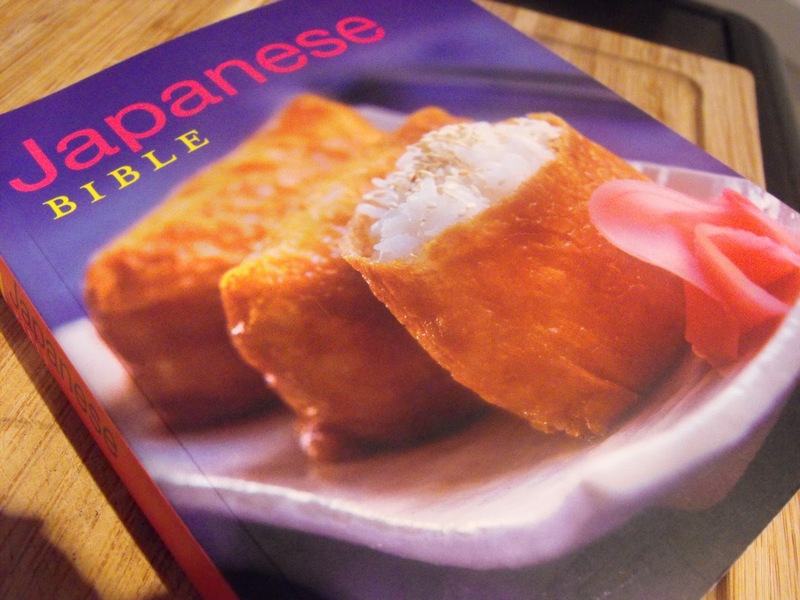 I’ve always wanted to know a little bit more about Japanese food, so this easy book is the ideal, painless way in. 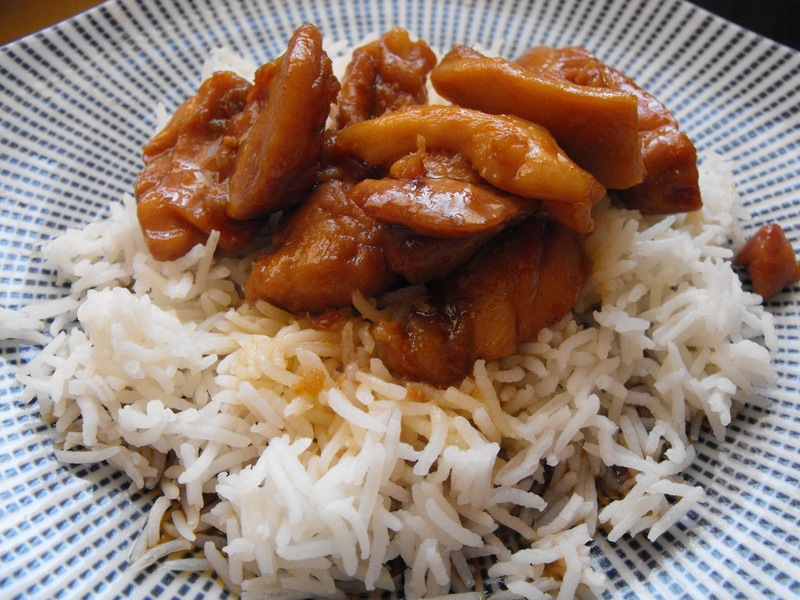 The recipe I chose was the Chicken Teriyaki, a family favourite of ours. Easier, even, than the recipe I usually follow from Nigella Lawson’s book ‘Kitchen’. 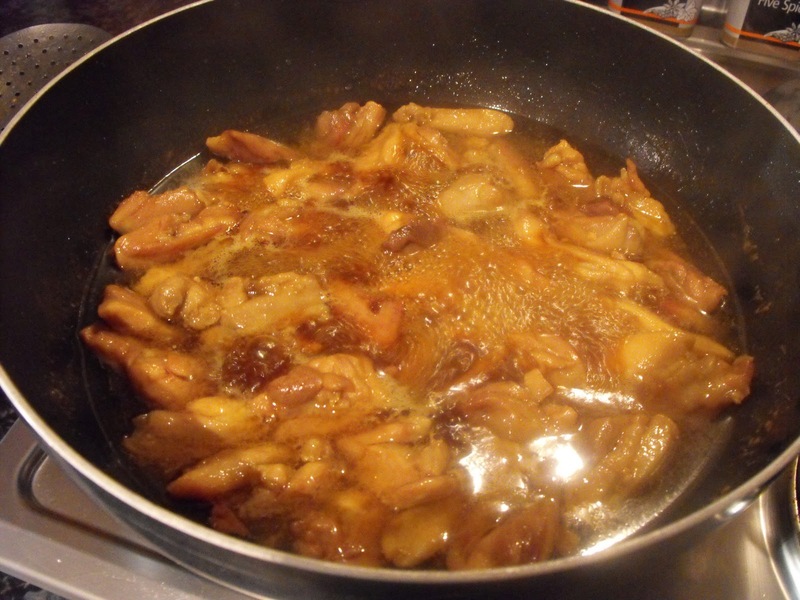 Chicken pieces are fried off in a little vegetable oil to colour them, removed from the pan and set aside. 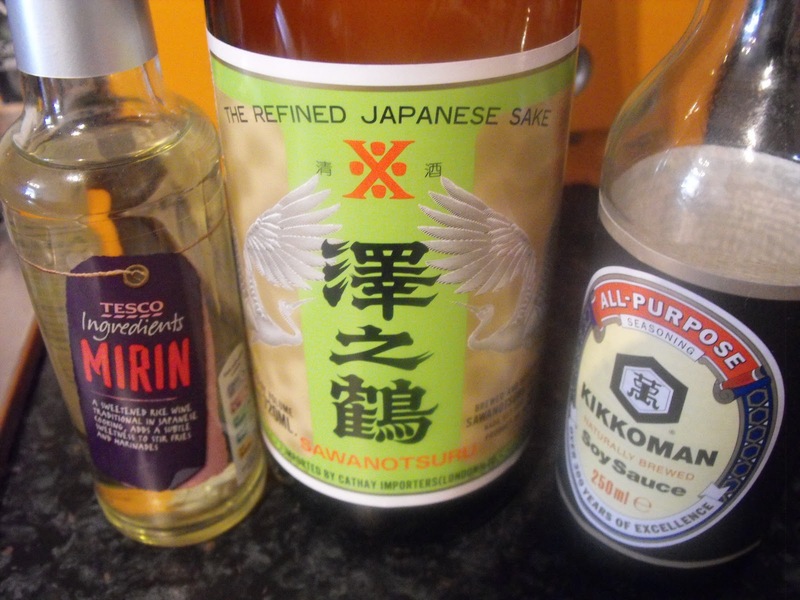 A Teriyaki sauce is made up from: half a cup of sake, half a cup of mirin, half a cup of soy sauce and 1 tablespoon of caster sugar. This bubbles away for a few minutes, reducing slightly, the chicken is added back and it’s cooked for a few more minutes so that the chicken cooks through. Marks out of ten? 6. Would I make it again? No. Would I do anything differently? I’m sticking to Nigella’s recipe from now on, a little more complex in the taste department! 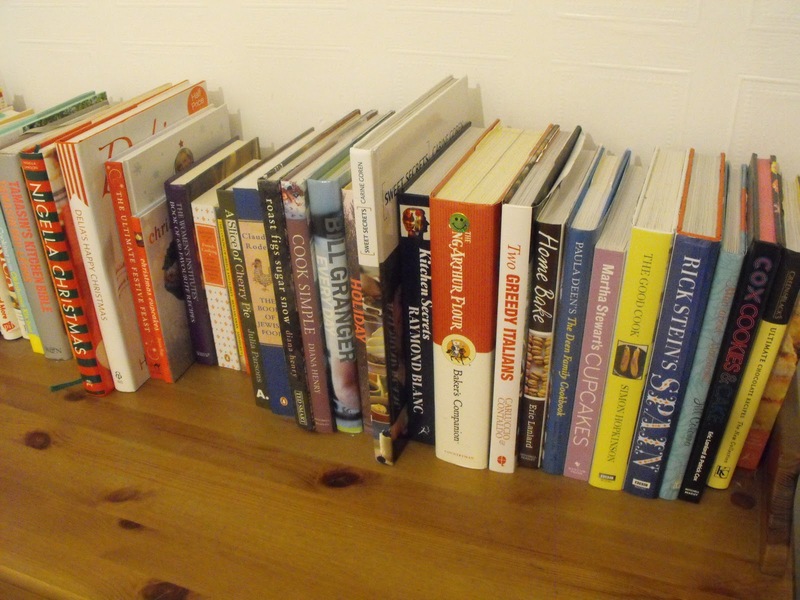 Lately it seems, that every time I browse through my local book shop, or on the net, something which feels an awful lot like guilt, stops me from buying any more cook books. 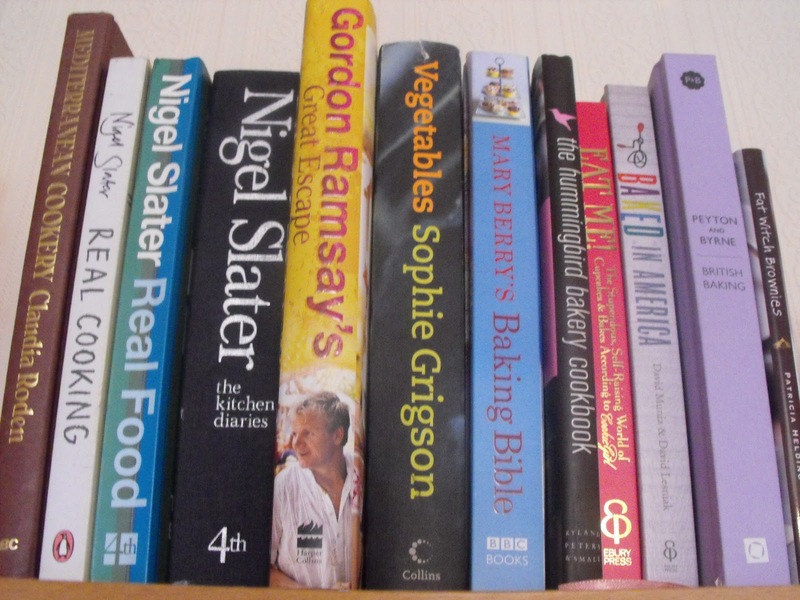 I have so many on my shelves, a lot which have been cooked from, but a lot which haven’t been. 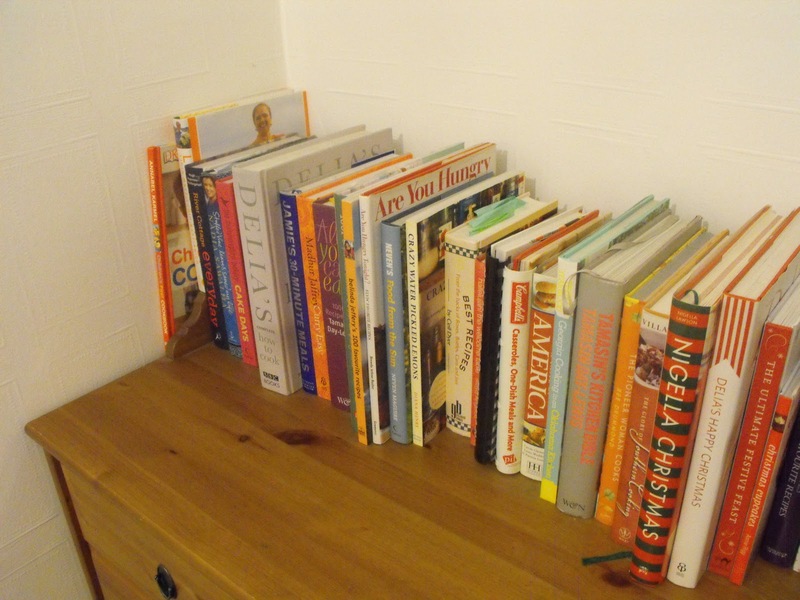 My challenge is this – to cook at least one recipe from EVERY book in my collection…. 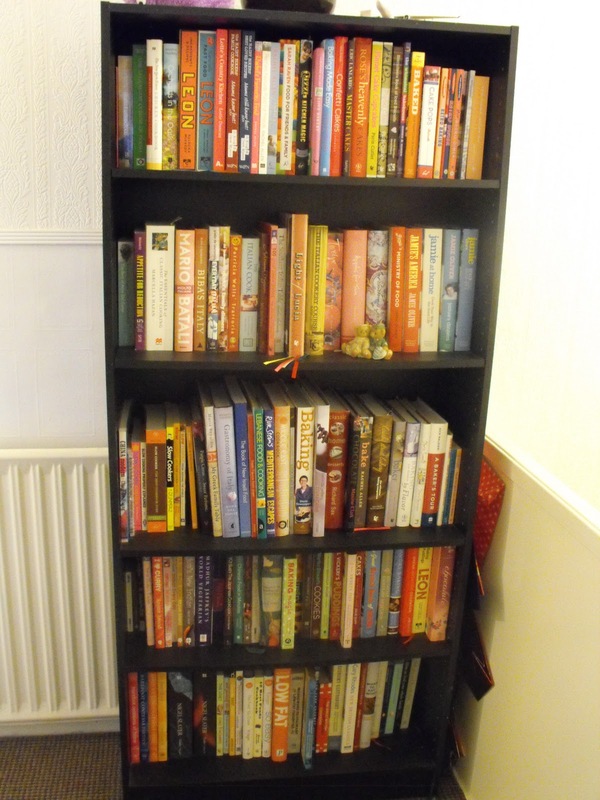 I’ve put an ‘Off the Shelf’ tab at the top of the page, where I will list the books I cook from alphabetically by author and then name of book. I will link back to the relevant post as I complete them. I hope you’ll enjoy this as much as I’m going to.